British Colonel ( BC ) Ready Rubbed Tobacco Tin. 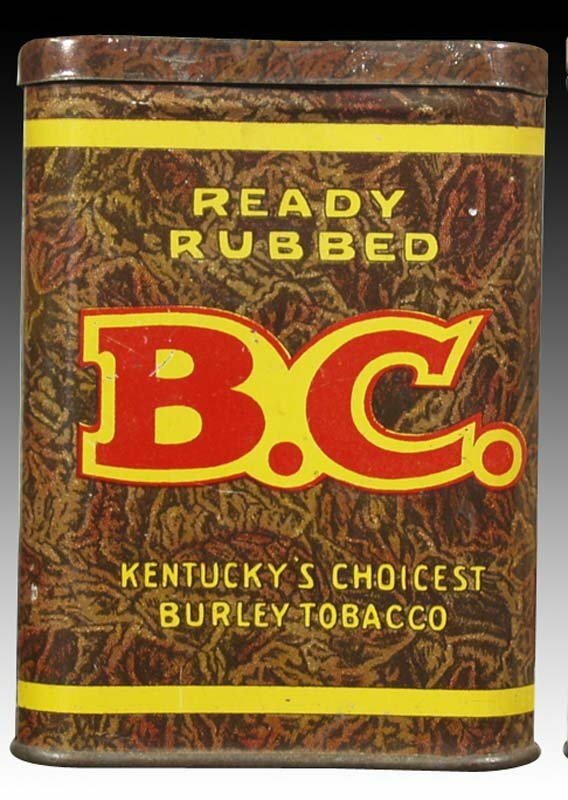 Front reads: ” Kentucky’s choisest burley tobacco “. Reverse features a seal with BC surrounded by text ” British Colonel. 1″ x 3″ x 4″.